The rules on tampering, or tapping-up, the practice of poaching another soccer club’s players when their contracts aren’t expiring, are quite clear. “A club intending to conclude a contract with a professional must inform the player’s current club in writing before entering into negotiations with him,” stipulates Regulation 18.3 in FIFA’s rulebook. And even then, the current club must consent if the contract isn’t in its final six months. Yet these rules are rarely enforced, and the gray area of flirting with a player without technically negotiating is largely left unaddressed. Which is what gives us the barely regulated transfer market fueled by winks and hints and back-channel communication between agents and sub-agents and intermediaries. Of coaches sending thinly veiled messages through the media, or suggestively congratulating opponents after games. All the cloak and dagger makes for great drama and spectacle, but it’s also one of the soccer’s most damaging issues. It makes for a charade that is at best dishonest and at worst harmful. It needs to be handled. Here, we turn to Zinedine Zidane and Paul Pogba. France’s best playmaker of the past and its generational midfielder of the present. World Cup champions both, having led their nations to the highest accolade in soccer in spite of the controversy surrounding them. In Zidane’s case, it was a bit of a dirty streak that led to occasional red cards and a national debate in France over the place of second-generation immigrants in the national team. In Pogba’s, it’s that showmanship and apparent aloofness that can give some the wrong impression about him. 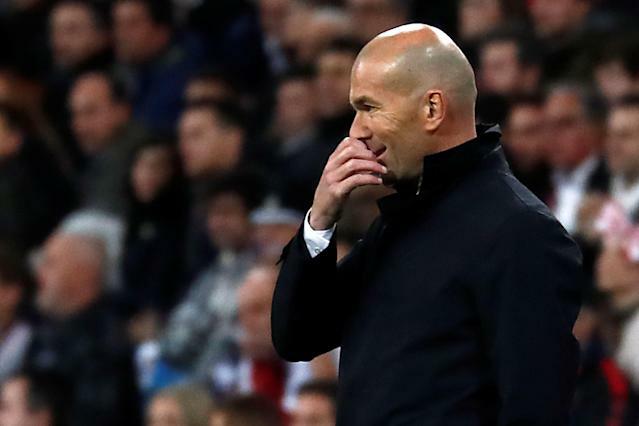 At any rate, Zidane manages Real Madrid, newly re-installed after resigning over the summer and now with a great deal of power and leverage, as the team’s savior following a disastrous first three-quarters of the season. Pogba remains at Manchester United, where he was, for a time, the world’s most expensive player. He’s never entirely convinced his critics over there, in spite of semi-frequent evidence of his genius and a broken-down relationship with his now-fired coach, Jose Mourinho. Zidane wants Pogba in Madrid. Pogba wants to play for Zidane. “All players dream of playing for a club like Real Madrid,” Pogba said a month or so ago, according to AS. Then, last week, he repeated ambition of eventually playing for Real and Zidane. That forced now-permanent United manager Ole Gunnar Solskjaer to address the rumors and to downplay what Pogba said, insisting that he was just being polite. These open overtures, these negotiations without negotiating, plainly break the rules. But Real almost certainly won’t be punished. Such discipline is exceedingly rare. But this is nevertheless how the outlines of potential deals are sketched. Pogba’s superagent Mino Raiola, for his part, has already gotten word out that he expects 10 percent of what would almost certainly be a nine-figure transfer fee. Of course. It’s the lack of transparency in the market, the lack of enforcement of rules that are unambiguous, that make it such a cesspit of graft, manipulation and shady characters. It’s also what allows agents and a coterie of intermediaries to drain enormous sums of money out of the sport, often for having done very little. When there isn’t just one club making an approach to another and a player agent working out a contract when a fee has been negotiated, you enable all sorts of profiteering. A shadowy netherworld of dealers and fixers, who have previously trafficked underage players and outright extorted players and clubs, kicks into gear. And this global meat market has, on occasion, even proved dangerous. 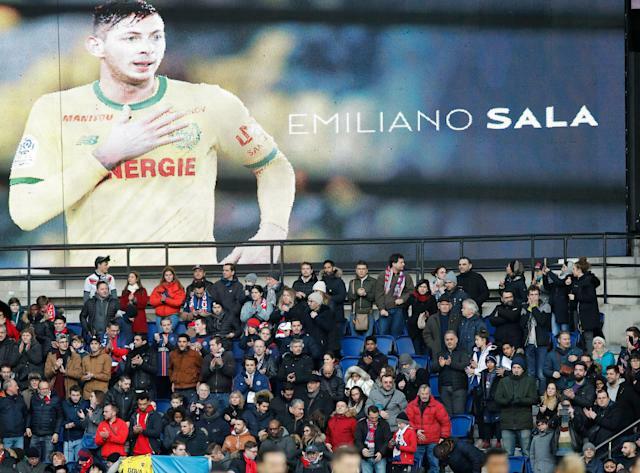 When Argentine striker Emiliano Sala was sold from Nantes to Cardiff City in January, the little private plane that would plunge into the Atlantic as he traveled to complete his transfer was arranged by a string of connections in this Byzantine network of agents – that is no longer even licensed by FIFA, as it once was. According to ESPN’s reporting, a well-known agent who had no involvement in the deal arranged a plane for Sala through his son, who actually played for Cardiff himself. The son then booked return flights through a pilot who often did these kind of jobs, but who then delegated the actual flying to a second pilot. Sala was alarmed by the rickety airplane and was, as it all tragically turned out, right to be. Certainly, there’s no telling if a better-regulated market would have saved Sala. That’s probably a stretch. But the point stands that a cleaner transfer system would weed out a good amount of the sketchy figures and operators. There’s a model for this. In Major League Baseball and the NBA, players, coaches and executives simply aren’t allowed to recruit anyone from other teams, whether publicly or privately. In a recent memo to players, the NBA reiterated that, “Conduct that interferes with contractual employment relationships is prohibited.” Those kind of Zidane-Pogba exchanges wouldn’t be permissible. The punishments are modest in North American sports, but it creates a clear framework for what’s allowable and what isn’t. In the NFL, there’s even an anti-tampering rule barring interviewing of front office members of other teams if they have roster-decision powers. It doesn’t always work – tampering has been rampant in the NBA lately – but at least there’s an effort to get it under control. A little more oversight on transfers won’t clean up a pervasively crooked sport like soccer, but it’s a start. And it would do right by the players. The rules are clear. Now let’s abide by them.